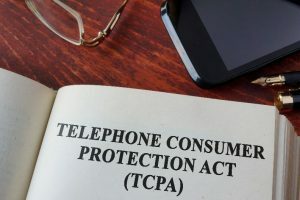 On April 12, 2019, an Oregon federal jury returned a Friday evening verdict in a Telephone Consumer Protection Act (TCPA) class action that could put the defendant on the hook for $925 million in damages. The TCPA makes it unlawful to make a telephone call to any cell phone or residential telephone line using an artificial or prerecorded voice without the prior express consent of the called party. It provides a private right of action that subjects violators to actual damages or $500 for each violation, whichever is greater. A court can award treble damages for any violation it determines to be willful or knowing. The case of Wakefield v. ViSalus, Inc. started back in 2015 when plaintiff Lori Wakefield filed a class action complaint in the U.S. District Court for the District of Oregon against ViSalus, Inc. ViSalus is a multilevel marketing company that markets weight loss products, dietary supplements, and energy drinks. Ms. Wakefield alleged that ViSalus engaged in a marketing campaign that consisted of calling phone numbers that were on the Do Not Call Registry and placing robocalls initiated with a prerecorded message, both without prior express consent. Eventually, Ms. Wakefield sought certification of three classes, a “Do Not Call Class,” a “Robocall Class,” and an “Oregon-Stop-Calling Class” based on alleged violations of state law. In June of 2017, the Court certified the Robocall Class but denied certification of the Do Not Call Class and the Oregon-Stop-Calling Class. With respect to the Do Not Call Class, the Court determined that Ms. Wakefield had not provided reliable evidence to show the number of potential class members. With respect to the Oregon-Stop-Calling Class, the Court ruled that the claim did not involve common evidence across class members. Therefore, only the claims with respect to the Robocall Class moved to trial. After a 3-day trial that began on April 10, 2019, the jury returned its verdict. The jury found that Ms. Wakefield proved that ViSalus made 4 calls to her in violation of the TCPA and 1,850,436 calls to class members in violation of the TCPA. When asked to distinguish on the verdict sheet between how many of those calls were made to cell phones and how many were made to residential telephone lines, however, the jury wrote, “We cannot tell.” Nor was the jury tasked with making a determination on damages. Nevertheless, the number of calls and the $500 statutory damages per violation puts potential damages over $925 million, at minimum. The verdict, however, is likely just the beginning of the next chapter in the case. Defense counsel is likely to seize on the jury’s inability to distinguish between calls to cell phones and calls to residential landlines. While the TCPA prohibits prerecorded voice calls to both, it does not prohibit prerecorded voice calls to business landlines. Therefore, the jury’s statement of “We cannot tell” may give defense counsel an opening to argue that the jury based its verdict on mere speculation. In any event, given the amount of damages at stake, an appeal appears inevitable. The U.S. Supreme Court on Wednesday remanded a class action against Google so that the lower courts could determine whether any of the named plaintiffs have standing under Spokeo, Inc. v. Robbins. The underlying suit alleged violations of the Stored Communications Act (“SCA”). The SCA prohibits “a person or entity providing an electronic communications service to the public” from “knowingly divulge[ing] to any person or entity the contents of a communication while in electronic storage by that service.” The plaintiffs alleged that Google violated this provision by sending users’ search terms to the server hosting the webpage that users clicked on from the search results page. Google eventually negotiated a settlement with the class for $8.5 million. Absent class members, however, were to receive no payment from the settlement fund. Rather, over $2 million was to go to class counsel. More than $5 million was to be donated to a number of cy pres recipients, nonprofit organizations whose work would indirectly benefit the class members. The District Court approved the proposed settlement agreement over the objection of two named plaintiffs, who contended that the settlement was not “fair, reasonable, and adequate” as required under the Federal Rules of Civil Procedure. After the Ninth Circuit affirmed the District Court’s approval, the Supreme Court granted certiorari on the question of whether the proposed settlement agreement was fair, reasonable, and adequate. The Court, however, deferred on the question, stating that it could not rule on the propriety of the proposed settlement agreement because, “there remain substantial questions about whether any of the named plaintiffs has standing to sue in light of our decision” in Spokeo. The Court noted that the District Court had previously rejected Google’s standing argument, relying on the Ninth Circuit case Edwards v. First American Corp. In Edwards, the Ninth Circuit ruled that the violation of a statutory right automatically satisfies the injury-in-fact element of standing when an individual sues to vindicate that right. After the District Court’s ruling, however, the Supreme Court handed down the Spokeo decision. Spokeo abrogated Edwards, holding that “Article III standing requires a concrete injury even in the context of a statutory violation.” Neither the District Court nor the Ninth Circuit re-examined the standing question in light of Spokeo. Indeed, Google apparently never re-raised the standing issue after the Spokeo ruling. Nevertheless, the Court noted that it had an independent “obligation to assure ourselves of litigants’ standing under Article III.” It also stated, “A court is powerless to approve a proposed class settlement if it lacks jurisdiction over the dispute, and federal courts lack jurisdiction if no named plaintiff has standing.” The Court therefore vacated the approval of the proposed settlement agreement and remanded for further proceedings on the standing question. The Court’s ruling serves as a strong reminder of just how powerful a standing defense Spokeo can provide in suits alleging a violation of a privacy statute. A three-judge panel of the Third Circuit recently affirmed a district court ruling that dismissed a suit for violation of the Fair and Accurate Credit Transaction Act of 2003 (FACTA) for lack of Article III standing. The plaintiff, Ahmed Kamal, alleged that receipts he received from J. Crew showed the first six and last four digits of his credit card number in violation of FACTA. The panel, applying the Supreme Court’s ruling in Spokeo, Inc. v. Robins, ruled that absent more, such an allegation of a “technical violation” is insufficient to demonstrate the concrete harm required to demonstrate Article III standing. Congress enacted FACTA to combat identity theft. 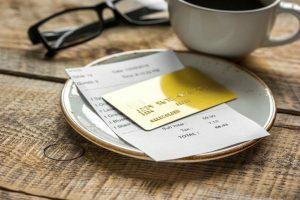 The statute prohibits businesses from printing any more than the last five digits of a credit or debit card number on a receipt provided to the cardholder at the point of sale. FACTA also prohibits businesses from printing the card’s expiration date on the receipt. FACTA provides for actual damages and attorneys’ fees for negligent violations and statutory damages up to $1000, punitive damages, and attorneys’ fees for willful violations. Kamal alleged that J. Crew willfully violated FACTA. On three separate occasions, at three separate J. Crew stores, he received a receipt that showed the first six and the last four digits of his card number. Kamal did not allege that anyone else saw these receipts, that his identity was stolen, or that his credit card number was compromised. He filed a class action suit against J. Crew, which the district court ultimately dismissed for lack of Article III standing. Article III standing is a component of the Constitution’s case or controversy requirement. To maintain suit under this requirement, plaintiffs must show that 1) they suffered an injury in fact, 2) it is fairly traceable to the challenged conduct of the defendant, and 3) it is likely to be redressed by a favorable judicial decision. Kamal argued that he had pled concrete injury for two reasons. 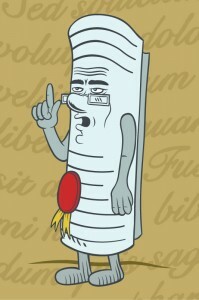 First, he argued that the violation of FACTA’s plain text was an intangible concrete harm in itself. Second, he argued that the increased risk of identity theft from the violation was concrete harm. After discussing Spokeo and a number of its own decisions, the panel rejected both arguments. The panel discussed whether the alleged intangible harm had a close relationship to a harm that traditionally formed the basis of a common law action. It discussed a number of privacy torts and concluded that Kamal’s alleged harm did not have a close relationship to them because they all required disclosure of some personal information to a third party. Here, however, Kamal did not allege that any third party saw the offending receipts. Next, the panel discussed whether Kamal had alleged an increased risk of the concrete harm of identity theft to satisfy Article III standing requirements. The panel noted that the first six digits of a credit card number identify the bank and card type, information that is permitted to be printed elsewhere on the receipt under FACTA. Therefore, J. Crew’s alleged violation did little to increase any risk of identity theft. The panel also noted that for the alleged harm of identity theft to become realized, Kamal would have to lose or throw away the receipt, and then a would-be identity thief would have to find it and figure out the remaining digits along with additional information such as the expiration date, the Card Verification Value (CVV), or the billing zip code. The panel agreed with the district court that this chain of events was too attenuated and speculative to entail the sufficient degree of risk necessary to meet the concreteness requirement. The Eleventh Circuit, however, is on the other side of the issue. In Muransky v. Godiva Chocolatier, Inc., it ruled that printing the first six digits on a receipt created concrete injury because it was similar to a common law action for breach of confidence. The Kamal panel expressed its disagreement with the Eleventh Circuit because a breach of confidence action required disclosure to a third party, which Kamal had not alleged. By requiring disclosure to a third party to show a close relationship to a traditional tort action, however, the panel essentially closed the door on one option to show concrete harm. Under the panel’s reasoning, even printing the full credit card number on the receipt would not have a close relationship to traditional privacy torts so long as the merchant gave the receipt to only the customer. Even so, under that set of facts, the plaintiff would likely be able to show concrete harm through the increased risk of identity theft. The panel admitted that its “analysis would be different” had Kamal “alleged that the receipt included all sixteen digits of his credit card number, making the potential for fraud significantly less conjectural.” But that raises the question of where courts should draw the line. What about a receipt that shows 12 or 13 digits? Is the risk of identity theft that much more appreciable to satisfy the concrete harm requirement? And will this standard shift as identity thieves employ more sophisticated means to get the information they need? 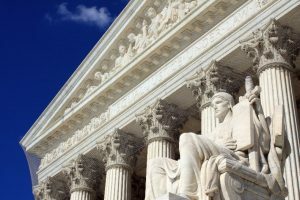 Stay tuned, as this issue of FACTA standing is sure to get murkier as lower courts continue to grapple with the Supreme Court’s Spokeo decision. With all of the hubbub swirling around Capitol Hill last week with the Michael Cohen hearings, you can’t be blamed if you missed the fact that two important congressional hearings on privacy and data protection took place as well, one in the House and one in the Senate. First, on February 26, the House Energy and Commerce’s Subcommittee on Consumer Protection and Commerce held a hearing titled, “Protecting Consumer Privacy in the Era of Big Data.” It was the first hearing on the topic in the 116th Congress. 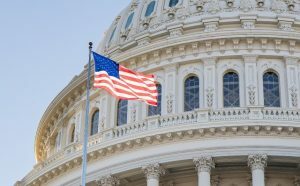 Committee members expressed bipartisan support for enacting comprehensive legislation that would set a national standard for data protection, but differed on what that standard might be. Republican committee members expressed concern that overly strict standards could burden and disadvantage small businesses. They focused on how the European Union’s General Data Protection Regulation (GDPR) has advantaged companies with the largest market shares at the expense of smaller businesses. Democrats, meanwhile, expressed concern over the discriminatory effects of a data marketplace without strong enough standards. In opening statements, Representative Frank Pallone (D-NJ), Chairman of the full committee, said that dense and lengthy privacy polices mean that we can no longer rely on a system of notice and consent and advocated for a shift toward a strong, comprehensive model of data protection. Representative Greg Walden (R-OR), Ranking Member of the full committee, expressed a desire to work toward federal privacy legislation that focuses on 1) transparency and accountability, 2) protecting innovation and small businesses, and 3) setting a single national standard. A number of witnesses testified before the subcommittee, including representatives from Color of Change, the largest online civil rights organization in the U.S., the American Enterprise Institute, and the Center for Democracy and Technology. Then, on February 27, the Senate Commerce Committee held a hearing titled, “Policy Principles for a Federal Data Privacy Framework in the United States.” Committee members from both parties expressed support for strong, comprehensive legislation to protect the privacy of consumer data. They differed, however, on what preemptive effect any federal privacy law should have. Republican committee members tended to support the idea of preemption to avoid the potential burden of complying with a patchwork of state laws with varying standards. Democrats, on the other hand, expressed concern that passing a preemptive federal law could lead to a lower overall standard of data protection by nullifying stricter state laws. The preemption issue is sure to remain a hot topic as at least some of the push to pass comprehensive federal privacy legislation is being driven by concerns over the California Consumer Privacy Act (CCPA), which is scheduled to become operative on January 1, 2020. In opening statements, Chairman Roger Wicker (R-MS) advocated for a data privacy framework that is “uniquely American.” This framework, he said, should preempt state law and interoperate with international laws to reduce the burdens of compliance. He made it clear that “a national framework does not mean a weaker framework than what’s being developed in the states.” Ranking Member Maria Cantwell (D-WA) described recent data breaches as part of a larger trend rather than one-off incidents. She suggested that the GDPR and the CCPA could provide valuable insights to congressional efforts to create comprehensive federal data protection legislation. She stated her position that “we cannot pass a weaker federal law at the expense of the states.” Witnesses from several organizations testified before the committee, including representatives from the 21st Century Privacy Coalition, the Retail Industry Leaders Association, and the Interactive Advertising Bureau. While potential comprehensive federal privacy legislation has gotten a lot of attention lately, any move from the current sectorial model of U.S. data protection to a comprehensive model will be a heavy lift and will require careful analysis and balancing of privacy rights and regulatory burden. And all the while, technologies and techniques for exploiting security vulnerabilities will continue to evolve. Therefore, statutory and regulatory regimes must provide ample protections while also remaining flexible enough to be applicable to evolving technologies. As expressed by Senator Cantwell, it will be no easy task. Gregory is a Research Professional with the firm and is not an attorney. On February 27, the FTC announced that the operators of the video social networking application Musical.ly, now known as TikTok, agreed to pay $5.7 million to settle allegations that it violated the Children’s Online Privacy Protection Act (COPPA). According to the FTC, this is the largest civil penalty obtained in a children’s privacy case. The proposed consent order also requires TikTok to destroy all user data for users under the age of 13 and for users who are over 13 but were under 13 when TikTok collected their data, unless TikTok has verifiable parental consent to collect, use, and disclose such data. 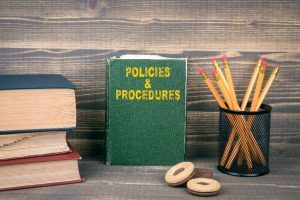 Since the 1970’s, fair information practices (FIPs) or fair information privacy practices (FIPPs) have formed the framework around which organizations structure their policies on data collection, use, disclosure, and retention. The cornerstone of individual privacy rights under the FIPs is notice and choice, sometimes called notice and consent. That is, an organization should inform individuals about how their personal information will be processed and shared and proceed only when an individual agrees to such use. At first glance, these dual concepts may appear to adequately protect individual privacy. 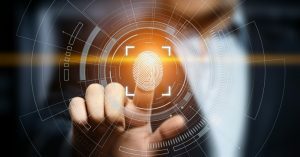 As the digital landscape has evolved, however, it has become apparent that the notice and choice paradigm fails to adequately protect individual privacy in important ways. First, the concepts of notice and choice assume that the choice is informed, but that is likely not the case. Privacy notices are often buried in terms of service that are lengthy, confusing, and difficult to read. They are often full of legalese and written from the perspective of protecting the organization from legal liability rather than from the perspective of genuinely and clearly informing users as to how their personal information might be shared. 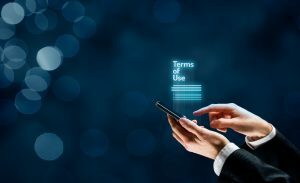 The term “privacy notice” may give users the impression that it contains information on how the organization is going to protect personal information rather than how it is going to disclose that information, which further disincentives a close read. All of this leads to the conclusion that a substantial number of individuals have no idea how companies are using or sharing their personal information. Recognizing that notice and choice may no longer be sufficient to protect individual data privacy rights, some privacy professionals have signaled a move away from the notice and choice paradigm. For example, in a September 2018 request for comments, the National Telecommunications and Information Administration (NITA) noted, “To date, [mandates on notice and choice], have resulted primarily in long, legal, regulator-focused privacy policies and check boxes, which only help a very small number of users who choose to read these policies and make binary choices.” Fortunately, there are a number of things that a company can do to get out in front of this transition away from a strict notice and choice regime. Second, an organization can protect its customers’ privacy rights by minimizing the amount of data it collects on those customers. Organizations should give serious thought before collecting more personal information than is necessary to provide the good or service in question. Data is not only an asset, but also a potential liability. While a data breach is never a pleasant experience, the harm to a company’s reputation will be amplified if the breach contains disclosure of personal information that has no rational connection to the good or service the organization provides to its customers. Third, an organization can give its customers multiple options as to how their personal information is used and shared. For example, customers may be fine with having their email addresses added to a company’s internal marketing list, but may not want that same information sold to a third-party mailing list. True consumer choice requires more than an all or nothing approach. As the practical shortcomings of the notice and choice framework become more apparent, lawmakers and regulators likely will begin to mandate a more holistic approach that looks more fully at what an organization does to protect individual privacy rights, rather than focusing on whether the organization simply complied with notice and choice requirements. By thinking about this shift now, organizations can better prepare themselves for this transition while building trust and confidence with their customers at the same time. COPPA is a U.S. law enacted by Congress in 1998 to address concerns regarding the online collection and disclosure of children’s personal information. Children (defined by COPPA as individuals under the age of 13) may not appreciate the significance of sharing their personal information online. Therefore, the goal of COPPA is to put the power of children’s online personal information into the hands of their parents. 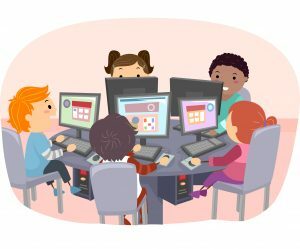 (e) Cannot condition a child’s participation in a game, prize offering, or other activity on the child disclosing more personal information than is reasonably necessary to participate in such activity. As a general matter, verifiable parental consent includes any method reasonably calculated, in light of available technologies, to ensure that the person providing consent is the child’s parent. 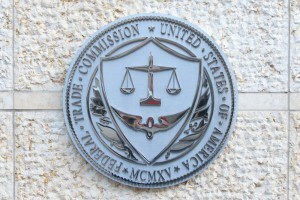 The Rule lays out a list of methods that the FTC has determined to meet that requirement, such as providing a consent form for the parent to sign and return via mail, fax, or email. Violations of the Rule carry civil penalties of up to $41,484 per violation. A number of states have passed legislation to fill the gap left by COPPA regarding teenagers. For example, the Delaware Online Privacy and Protection Act extends COPPA-like provisions to all Delaware residents who are under 18. Therefore, website operators and online service providers should be aware of potentially applicable state laws even if they do not believe that COPPA applies. The bill would require online service providers (“OSPs”)—defined as entities (1) “engaged in interstate commerce over the [I]nternet or any other digital network” and (2) that collect individual identifying information (“IID”) about end users in the course of or incidental to the course of business—to exercise the duties of care, loyalty, and confidentiality with respect to that information. If the bill becomes law, it will apply 180 days after the date of enactment. The bill’s definition of IID is limited to information that is collected over the Internet or any other digital network and is information that can be “linked” or is “linkable” to an end user or device that is “associated with or routinely used by an end user.” The bill does not define “linkable”; however, to the extent the GDPR’s definition of “identifiable” in the context of personal data can be a guide, “linkable” is likely to have a broad reach. Under the GDPR, information is identifiable when it can be combined with other pieces of information in order to determine the identity of an individual, but a hypothetical possibility of identification is not sufficient; it must be reasonably likely in light of considerations such as time, cost, and technology. The bill gives the FTC enforcement and rulemaking authority and the ability to impose penalties, which will be an amount not to exceed the penalties permitted by 15 U.S.C. 45 (m)(1)(A) ($10,000) multiplied by the greater of (1) the number of days of non-compliance or (2) the number of end users harmed. The bill also allows for enforcement by state attorneys general.